As with the table light, the designer Ilse Crawford concentrated on the interplay of the different materials in the Studioilse Steleuchte w084f. The stylish, modest lamp with an exciting and unique design is manufactured by Wästberg. When the light is turned on, the slightly transparent lamp shade creates a soft light. Made from mineral plastic, the lamp shade has a special glow. For optimal comfort, the luminaire can be infinitely dimmed. In addition, the lamp’s head is vertically as well as horizontally adjustable. It is ideal as a reading lamp to create a cosy atmosphere by the sofa, and thanks to its dimmer function, it can also be used as discreet light source. The practical turning mechanism in the sturdy iron base makes it possible to turn the entire lamp. The joint can be adjusted using the wing screw and can also be used to fix the light-arm made of beech wood into the desired position. 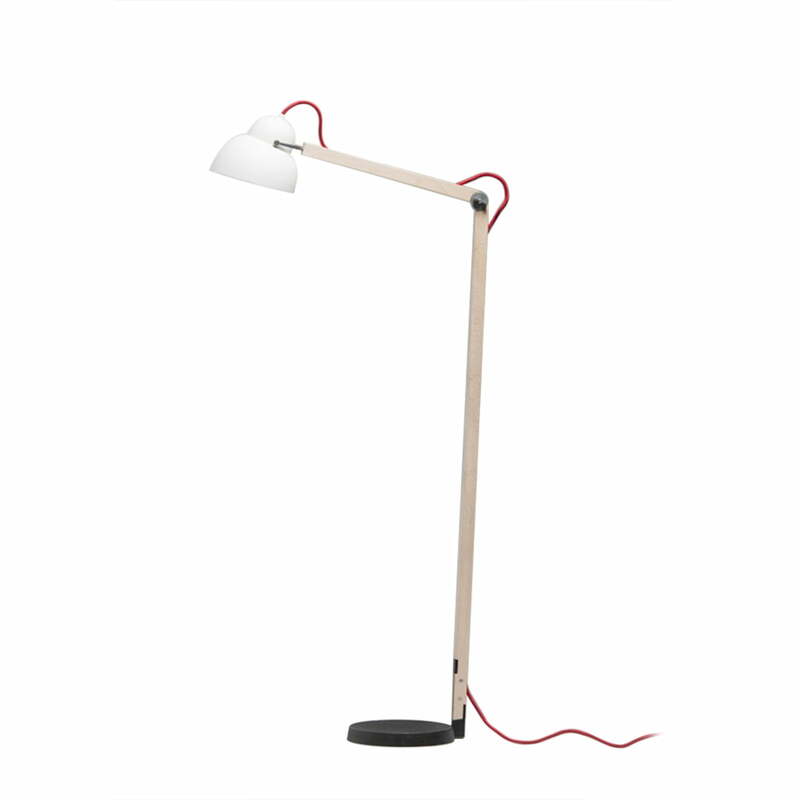 A funny detail is the striking, red cable which has adds character to the floor lamp. 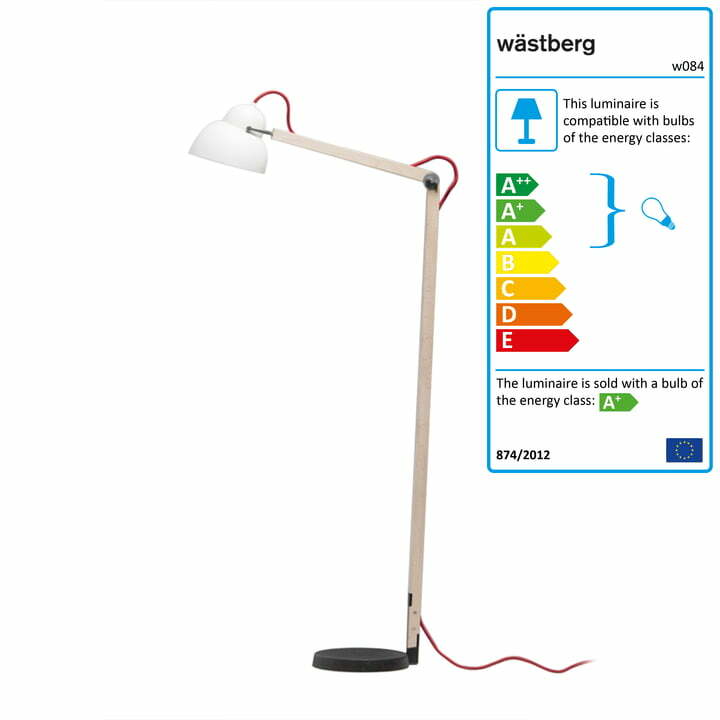 Isolated product image of the studioilse reading lamp w084f by Ilse Crawford for Wästberg. The base of the lamp is made of powder-coated iron and has been treated with vegetable oil.